Here this early Thursday morning is the sad news that's been on everyone's mind and in everyone's heart. 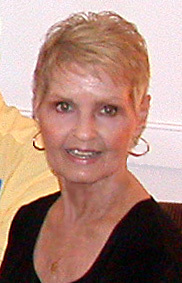 Dale Lucado, Class of 1968, passed away in Newport News at noon on Monday, November 20, 2012 at the age of 61. 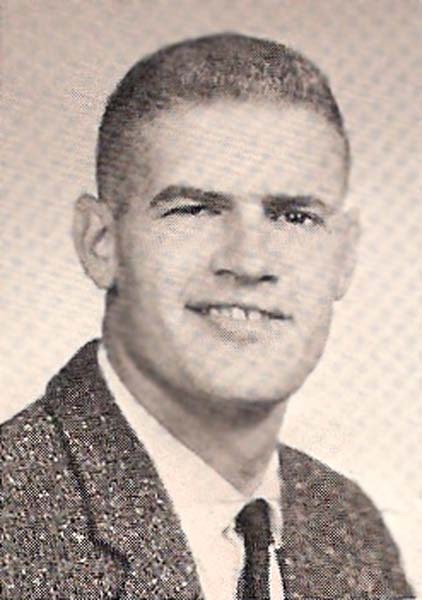 Twin brother of Gail Lucado Phelps ('68) of VA, he was also the brother of Donna Lucado Dudley ('69) of VA and Pam Lucado Phaup. 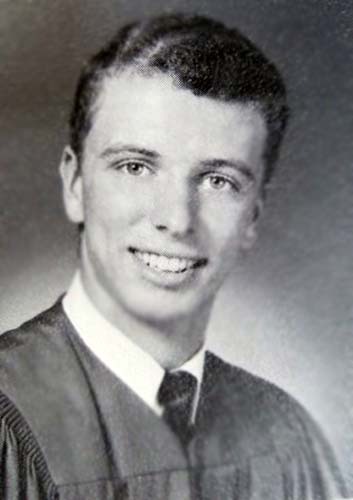 NEWPORT NEWS - Robert Dale Lucado, 61, passed away on Monday, Feb. 20. An obituary will appear in the paper on Friday. Memorial service will be held at 3 p.m. Saturday, at First Baptist Church, Newport News. Friends are encouraged to visit www.parklawn-woodfh.com to share memories and words of condolence with the family. Arrangements are under the care of Parklawn-Wood Funeral Home, 2551 N. Armistead Avenue, Hampton, VA 23666. View and post condolences on our online guestbook at dailypress.com/guestbooks. Published in the Daily Press on February 23, 2012. NEWPORT NEWS - Robert Dale Lucado passed away on Feb. 20, 2012. Born in Lynchburg, Va., on July 21, 1950, he and his family moved to Newport News in 1952. Dale was quite active from an early age. He was a Cub Scout, a paperboy, as well as a member of the Boy's Club. Sports came easily to Dale. He enjoyed participating in Parkview Little League Baseball. 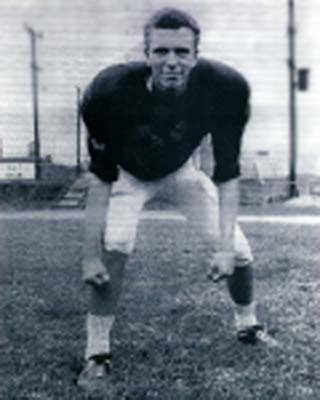 His attraction to football began also with Parkview as Dale was a member of the Pee Wee Football team. 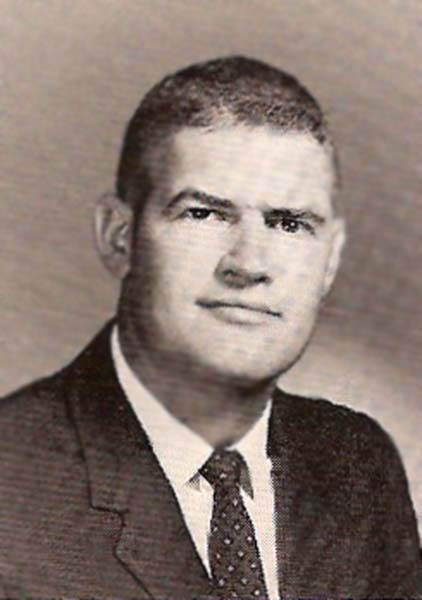 In later years Dale would be named Co-Captain of the 1967 NNHS football team. He was always so proud of his letterman's jacket. Dale's athletic ability extended into other areas, such as surfing. He enjoyed surfing with the guys at Hatteras before surfing was even in vogue. Dale also enjoyed dancing and with this came his passion for music that lasted his entire life. Being artistically inclined in other areas, Dale's charcoal drawings are remembered vividly. After proudly graduating a Typhoon from NNHS in 1968, Dale worked for C & P Telephone as a lineman. 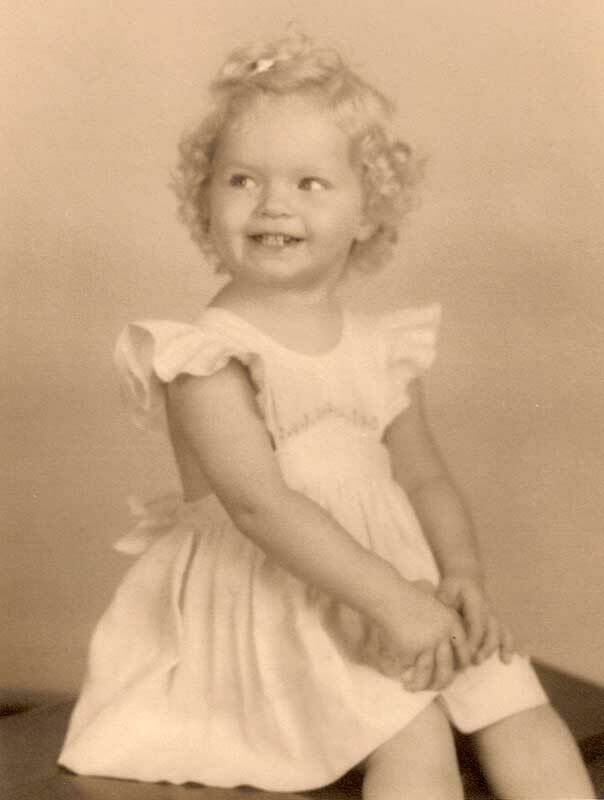 Later that same year he married Barbara A. Lucado and together they shared the blessing of daughter Robbie, whom Dale loved unconditionally. In 1971 Dale was injured in the Alumni Thanksgiving Day Football game between Newport News High and Hampton High. Not daunted by his own paralysis, Dale worked with special needs children, participated in Special Olympics, and coached girls' softball. For the next four decades Dale was lovingly cared for by his devoted mother, Willie. He greatly enjoyed his family and friends. Dale brought joy to all. He was truly an inspiration. It was not unusual for Dale to put the needs of others before his own. Dale was preceded in death by his father, Robert Marsh Lucado. He is survived by his mother, Willie Powell Lucado; daughter, Roberta Lucado Curnutte (Robert); three sisters, Gail Lucado Phelps, his twin, Donna Lucado Dudley (George), and Pamela Lucado Phaup; nieces and nephews, Josh Phelps, Ardith Nichols Smith, Ryan Dudley, Erin Dudley, Jeremy Phaup, Courtney Phaup, and former wife, Barbara Lucado. The family wishes to thank the staff at Riverside Rehabilitation Institute on Chesapeake Ave., for the wonderful care and compassion given. A celebration of his life will be held at 3 p.m. Saturday, Feb. 25, 2012, at First Baptist Church, 12716 Warwick Blvd. The family requests that expressions of sympathy be given in the form of a donation to Boys and Girls Club of VA Peninsula, 11825 Rock Landing Dr. #B, NN 23606. WE LOVE YOU, DALE. View and post condolences on our online guestbook at dailypress.com/guestbooks. Published in the Daily Press from February 24 to February 25, 2012. I will never forget you. Your phone book is barely adequate to list your friends from all over the states. That probably doesn't list the 10 who are with you now. I will miss you and all the calls we had. We had that special kinda of love between nurse and friend/patient. Our thoughts and prayers are with the family at this very sad time. I can't think of anyone who will ever be as indelibly linked with Newport News High School as Dale. His life was changed in an instant while celebrating with teammates and alumni. He was an inspiration. His memory lives on. God bless his family and his soul. Dale, you will be remembered for your fighting spirit and the friendship you shared with so many people. Thoughts and prayers go out to the family and all those special friends who will miss you and your wonderful smile. You've earned your wings, now homeward bound. God blessed us all for having the privilege to know you. I had the pleasure of meeting Dale in 1975 when I worked at the Multi-Handicapped Center in Hampton. He was a mentor to the children and someone they could look up to. We stayed in contact for years even after I left the center. Dale was an inspiration to all who met him and had a wonderful network of friends. It is with great sadness to hear of his passing. My thoughts and prayers are with his family during this difficult time. How lucky I was to have Dale to be a part of my life! His spirit, constant determination, sense of humor, and love of life were truly an inspiration to all. To know Dale was to love him, whether you knew him five minutes or fifty years. I hope that his legacy will be for all of us to appreciate everything in our lives, and for not one moment to take anything for granted, to love our fellow man, and to live life to the fullest every day! I will miss you greatly, my sweet precious friend. DALE, YOU WERE THE BEST MAN IN MY WEDDING AND WE WERE FRIENDS FOR ALL MY LIFE. I WILL MISS YOU AND ALL THE GOOD TIMES WE HAD IN OLD NEWMARKET, AND BEING TYPHOONS TOGETHER. YOU WILL ALWAYS BE IN MY HEART. TO SIS AND GAIL AND DONNA JEAN, MY PRAYERS ARE WITH YOU. There are no words grand enough to describe my love for you or how much you are missed. My heart is broken, yet now you are not! I LOVE YOU DALE !!!! You were my HERO and you will always be my HERO!!!!! I am so sorry to hear of Dale's passing. You are in my thoughts and prayers. We were blessed to have known Dale. The family has our deepest sympathy. Gail, Family & Friends, I am so very sorry for your loss. I will always remember Dale's smile and sense of humor. Thoughts and prayers to all. Gail, I just heard about Dale's passing. My thoughts and prayers are with you and your family. Dale was an inspiration to all who had the privilege of knowing him. DALE AS KIDS IN OLD NEWMARKET WE SHARED MANY GOOD TIMES AND AS TYPHOONS WE MADE OUR MARK ON NEWPORT NEWS, YOU WERE MY BEST MAN AND A FRIEND FOR LIFE. YOU WILL BE IN MY HEART FOREVER. TO THE LUCADO FAMILY OUR HEARTS AND PRAYERS ARE WITH YOU. GAIL AND DONNA JEAN, YOUR BROTHER WAS A SPECIAL GUY. Will miss you, buddy. Lost touch for a little while but thought of you often. Will always remember our talks and laughs and especially your call on Christmas Eve. Thanks for your friendship and inspiration. Until we meet again. Love you just like always. Our thoughts and prayers are with you Gail and your family at this very sad time. I knew Dale Lucado when we both attended NNHS. Dale was 2 classes ahead of me. I looked up to him as an "upper classman". I remember he was kind and friendly, full of life and very witty. I moved away from NN in 1970 and never saw him after that. I heard of his unfortunate injury and I imagine that he faced his disability with dignity and courage and had many who loved him throughout his life. RIP, Dale Lucado. For Dale, his family and many friends, my prayers have been sent.. I hadn't known Dale long and met him through George Nichols. Dale was a person that could make you smile in any given situation. He was full of love, kindness, and generosity. He will be missed greatly. He was my inspiration. My prayers and thoughts are with the Lucado Family in this time of sadness. Pam I am sorry for your loss for you and your family. My heart is with you. What a great and bold guy Dale was. I'm not a real close friend to him as others but I've known this MAN for some time. What a J-O-Y it was!! Especially when we talked music. I was also really honored to do a poster for him at one of the Valentine Dances that was held at the American Legion in Phoebus. Dale is now whole and free and my wife and I will miss his face. My heart and love goes out to the Lucado Family. Gail and Donna, I am sorry to hear of Dale's passing. I haven't seen him since we were kids in Newmarket. God Bless you all in this time of sorrow. May his journey be one that will fill his heart with joy. Gail, our thoughts and prayers are with you and your family. I loved your son and brother more than you will ever know. He never complained and he was most appreciative and a great athlete. I know Dale is in Heaven waiting for us to get with him. To all of his friends who did so much for Dale, I want to thank you from the bottom of my heart. You are truly wonderful people. All my love to you and your family. I will miss Dale and I will always love him. Sending prayers of comfort for the family during this time of sorrow. Gail, Donna Jean, Pam, Sis and the rest of Dale's family. I am sorry I will not be able to be with you on Saturday, as Ralph is not able to travel any long distance and I cannot leave him home by himself. Dale will be missed and we know that he is now able to walk and do all the things he was able to do when he was a kid. (Getting into trouble with his dad). Love to all of you. Aunt Phyllis. To Gail, I am so very sorry to hear of Dale's passing. The pictures video you have online is a wonderful tribute to Dale. You and all your family will be in my thoughts during this sad time. Gail and Donna: I am so sorry for your loss. Dale and I were neighbors many, many years ago in Warwick Gardens when we both worked for the telephone company. What a guy!!!! My thoughts and prayers go out to Dale's family and friends. To the family and friends of Dale. My condolences and empathy for your loss. My prayer that Dale is truly safe and without worldly problems. May he be at rest and peace and may your hearts be eased. May Dale be remembered and honored for the gentleman he was. He fought the good fight, and the struggle is done. Rest easy and be comforted. RIP Dale. Although I knew you briefly, you were an inspiration and always had a great smile. You were loved and will be greatly missed!!! YOU'LL BE THE BEST RUNNING BACK ON GOD'S TEAM. ALL OF US 1969 TYPHOONS WILL MISS YOU. MAY HE LAY HIS HANDS ON YOUR FAMILY AND TAKE ALL OF OUR PRAYERS WITH YOU. I was Dale & Gail's underclassman at NNHS. I remember them well and was at the Turkey Day game when Dale was injured. I never forgot Dale and thought about him over the years. My deepest condolences to the Lucado family. 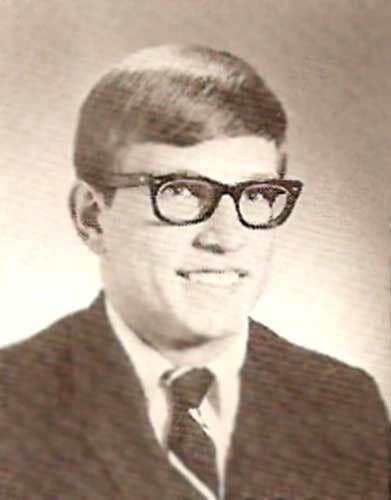 Dale was one of the coolest guys in NNHS class of 1968. He's probably already switched from football to the track team in Heaven. GAIL AND FAMILY, SORRY FOR YOUR LOST AS BOYS DALE AND ALL HIS FRIENDS FROM NEWMARKET GOT ON A BUS 98 FOR FIVE YEARS AND BECAME FAMILY WE WILL ALL MISS HIM VERY MUCH. I've never met a person such as Dale. His spirit and love for life, he truly inspired many. Always bringing a smile to your face. Only meeting him 5 or so years ago, I was truly blessed to have known such a wonderful person as Dale Lucado. I'm so sorry to hear of Dale's passing. He and I played together at Parkview Little League way back when. It was a long time ago but I can still remember his happy face and what a great kid he was. My thoughts and prayers are with him and his family in this sad time. I'm so sorry to here of Dale's passing. Always keep your wonderful memories of Dale close to your hearts. Our thoughts & prayers are with you & your family. We will miss seeing your smiling face!!! We offer our sincere sympathy in the loss of your beloved Dale. Cherish the wonderful memories of him and may they bring you comfort during this most difficult and sad time. God bless and keep you all in His care. Dale! You were the best at everything you did. Your family is a family that everybody wanted. You taught Wane Hintz and me how to surf in Hatteras; that was the best time of my life. Your dad sold me my first car, a Corvair. Teach God how to surf. Uncle Dale was one of the best people I've ever had the pleasure of knowing. I will love & miss you for a long time to come. You meant so much to our family. Who am I kidding; you were part of our family. I will always remember your sense of humor and our conversations. Katie, Abby and I wouldn't be here without you! Mom and Dad might have never met if it weren't for you. Love you so much! Dale was a true inspiration for all to emulate. Newport News is a better place as a result of his contributions. Will always remember the Newmarket Days and being neighbors with the Lucado's. My brother Jerry, who died in 1975, graduated with Dale and through their friendship I knew the family well. I will always fondly remember attending Parkview Little League games and watching Dale play and then NNHS games and doing the same. Dale was an inspiration proving that no matter what twist or turn you life may take you can move forward and accomplish great things. My thoughts and prayers are with the family. I am just a little older than Dale but I knew him well from the Boys Club and NNHS, and I was in the defensive backfield with him the day he was hurt. He was truly a gifted athlete and a fierce competitor, an attribute that would serve him well as he lived God's plan for him to the fullest extent he could. Over the succeeding years Coach Dale loved giving me grief as I umpired many of his girl's softball games. I loved the competitive spirit that still shown brightly and unmistakably in his eyes. Earlier in this Guest Book Malcolm Davis, my brother, made the observation that no one will ever be as indelibly linked with Newport News High School as Dale. I know he would be pleased by that legacy. To the Lucado family from mean ol' Nurse Monika: It was a pleasure and an honor to get to know Dale and his family. Special hugs and kisses. I am so sorry for your loss. Even though I hadn't seen Dale in years, I have fond memories of growing up in Newmarket and NNHS. My love, thoughts and prayers are with you all. My son knew him personally, but for me Dale was a voice on the phone. When he called I knew I was in for some good conversation and a lot of laughing. We took care of some of his equipment when I worked for a medical supplier in Hampton. He was one of my favorite callers. My deepest sympathy to his family and friends. 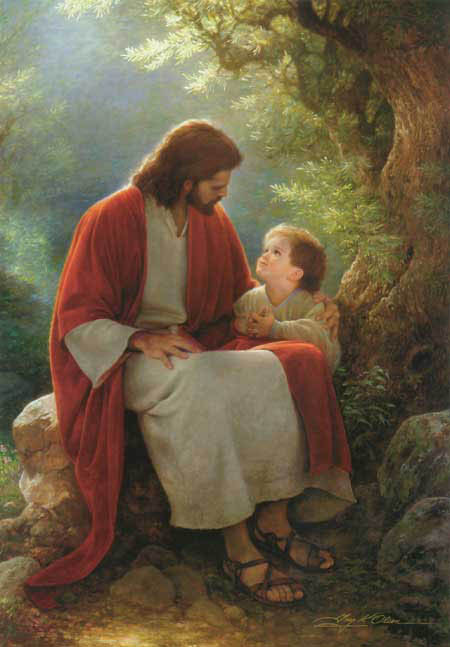 May you find comfort in the fact that he is with his Lord and Saviour. My thought's and prayers are with Dale's family. He was a special. Even though I did not know Dale personally, I did know of his tragic accident. I remember both Dale and Gail from NNHS. Was so sorry to hear of his death, my heart goes out to the family. Take comfort in knowing that we also grieve for Dale. In spite of his challenges, he lived a full and happy life complete with an adoring family, loyal and devoted friends, great music, and lots of laughter. 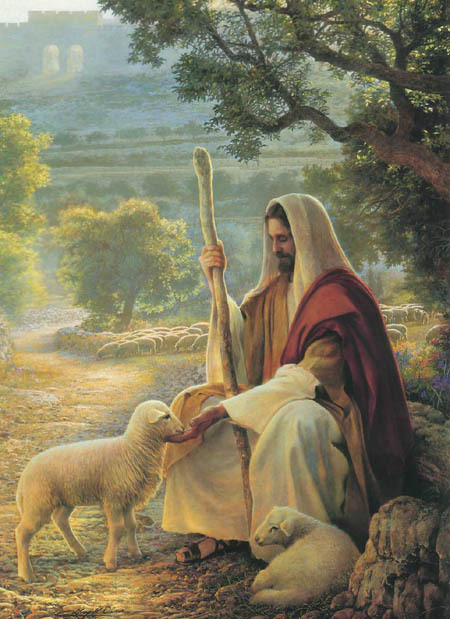 His love for all of you was steadfast and unconditional. We are all better people for having known him. My Love and Prayers to the entire Lucado Family. I was shocked to read of the passing of Dale. I have great memories of our days at NNHS with Dale on the football team and me as a member of the Typhoon band. Dale will be sorely missed. My thoughts are with all of you. If we are lucky enough, once or twice in a lifetime, we may have the privilege and blessing of being apart of a very special friendship that transcends time and changes us forever. For me and so many others you are that special person. You have left us in body but not in spirit and your legacy of love, kindness, generosity, selflessness, courage and wit will be a part of us forever. Thank you, Dale, for being my friend. I will miss you always but I have great joy in knowing that you are now soaring with the angels. We are so sorry to hear of Dale's passing. He was such a great inspiration to so many. We have fond memories of the Hampton Newport News games. He will be missed. What a sad day. I will never forget you Dale.........my heart goes out to the family during their time of sadness and grief. Dale, I dropped flowers in the Hampton River today in honor and memory of you. I watched as they slowly drifted away with the current, quiet and peaceful as the bright sun reflected on the water like diamonds. You are a priceless gem and memories of you will always bring a smile. Thank you for sharing a laugh or a hug. To the Lucado family; may the memories of Dale give you lasting comfort and peace. God Bless You! We will miss your sweet smile and your great positive attitude! Love you, Dale! Gail, I was sorry to hear about Dale. What an inspiration he was and I'll certainly remember his memorable spirit at NNHS. My prayers go out to you and your family. Dale was truly an inspiration to all. To Donna, Gail, and all of the Lucado family, my Deepest Sympathy. Gail and Lucado Family, Earl and I are sorry to hear about your brother, Dale. Although, we didn't know him personally, we always heard wonderful things about him. We will keep your family in our prayers. To Gail and to all of Dale's family our prayers and best wishes during this sad time. My sincerest condolences to the family. Dale used to come and watch me play softball in Newport News. I considered him to be a true friend; he will be missed and remembered always. My thoughts and prayers are extended to the entire family - Dale was loved by so many and will be greatly missed - he is with God now and helping to do great things as he did while he was here on earth - he touched so many people with his great big smile and his joy of life - tomorrow will be a celebration of a great man. I remember Dale not only as a fellow Typhoon from NNHS but also from several years of friendship at the former Boys Club at Jeff Ave and Hilton Blvd. Although I moved away from the Peninsula and didn't have the privilege of frequent personal interaction with Dale, I remember him as a good friend, exceptional athlete and all around nice guy. My condolences to the entire extended Lucado family. My deepest sympathy to Dale's family. Dale was a one of a kind! No matter what the situation was he was always smiling! He is truly an inspiration and one of the kindest people I have ever met. I will miss you and our long talks. Thanks for the best friendship anyone could ever give. Love to you and your family. My prayers will always be with you. To Pam and the Lucado family. May God bless you and your family in this time of sorrow. 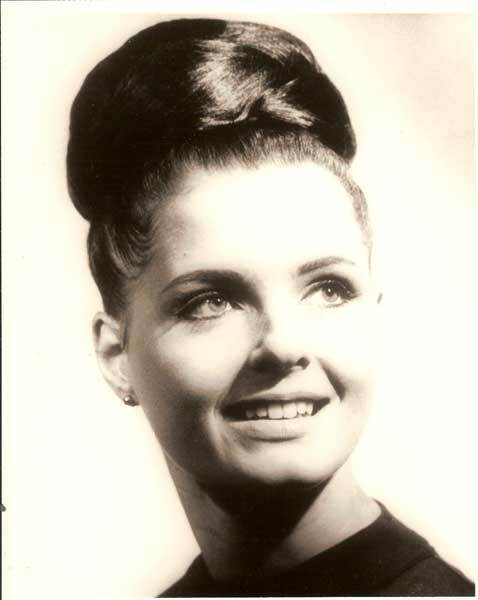 I did not know Dale as good as I did his sister Gail. I worked with her for years at the telephone company. I heard a lot about him, and all were good things. I also went to NNHS. The entire family is special and my thoughts and prayers go out to them. May God give them comfort. 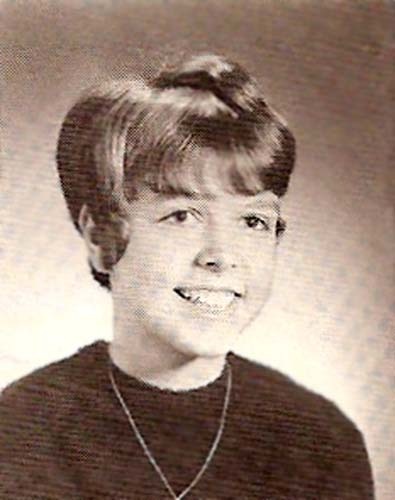 As a member of the class of 1966, I knew Dale and Gail as the cute twin underclassmen, but didn't know them well. 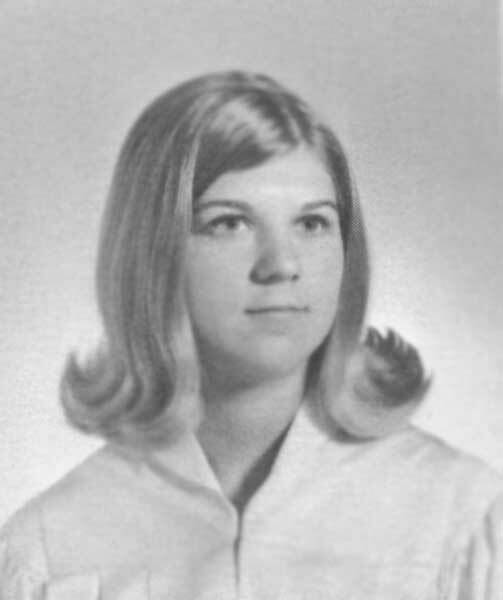 Through the Newport News High School Alumni page on Facebook, I've gotten to know Dale through his good friend, Doug Dickinson, and his sister, Donna. We've all been following his ups and downs--he has been an inspiration to us and is being remembered as a great Typhoon! We'll keep your family in our prayers. My prayers are with you all as you grieve for Dale. Your love for him was always evident as you shared stories about him with me. You were all blessed to have him in your life as he was to have you in his. Hold close those precious memories. I was a junior at Hampton High when we heard of Dale's injury in that alumni game ... as it was announced in school we were all in shock ... and our hearts went out for him as well as his family and friends. Fast forward to a couple of years ago ... I was DJing an event in Phoebus and had just played a song by Danny and The Delnotes ... when someone came over and said there is a gentleman in a wheelchair that would like to meet me. Yep ... it was Dale ... we met for the first time, spoke briefly, and we both parted with a tear in our eyes. I can see why he had so many friends, and how he touched and inspired so many lives. Rest easy now, my friend ... you have earned your eternal peace. Even with all his hardships he always looked to try and help someone else. We had a lot of good times together I will never forget. We love you and your family so much. May you rest in peace, our friend. We are sorry for your loss and we love you with all our hearts. May Dale rest in peace knowing that he was much loved and cared for in this life. Now, he is your Angel in Heaven. He showed us how to face life's challenges with courage & great strength of character. To have known him was to have known an exceptional person. God bless you with comfort & peace. Gail, Donna, and family, my thoughts and prayers are with you and your family during this time. I will always remember how sweet and special Dale was. 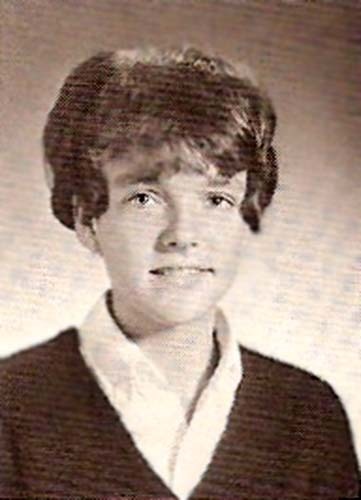 I have thought of you and Dale numerous times since our years at Newport News High School. So sorry to hear of Dale's passing, May the love of friends and family carry you through your grief. My thoughts and prayers goes out to the Lucado family and may God be with you during this time of your loss of Dale. We were deeply saddened to hear that Dale has left us - but only physically. His spirit will remain with us forever. Dale is truly a NNHS Typhoon legend. Deepest sympathy to all family members. You will be in our thoughts and prayers in the days and weeks ahead. Dale was a very special person and will be sorely missed by many. My thoughts and prayers to the Lucado family......God Bless. Move over, Coach Conn, the #1 typhoon is on his way. God bless you, Dale Lucado. My thoughts and prayers are with the family and friends of Dale Lucado. He was truly an amazing person and will be missed by all. Our memories of Dale will last forever. Gail, Donna and family, please accept my deepest regrets on the loss of Dale. He was a great guy who I have some very fond memories of. My heart and prayers go out to the Lucado family. What a lost, Dale was a wonderful and loving guy he will be greatly missed by many. My love to the entire family and I am here if you need me. There will never be another one like Dale. He always brought a smile to my face with his great sense of humor and easy going personality. I feel lucky to have known him and thankful that my dad and he had such a great friendship for so many years. That is a true blessing. May you rest in peace, Robert. To the family, we here at Newport News Nursing and Rehab staff would like to say we share our deepest condolence to the family. Few could, can, bring a smile so easily. He will always be the best of Newport News. Our prayers go out to Dale's family. Thanks for the high school memories. We are saddened by the passing of Dale. May Dale's family find peace and comfort in the memories of his life. Mrs. Lucado, Gail, Josh, Donna, Pam and family my thoughts and prayers are with you during this time of loss. My first thought when I learned about his passing was how happy he must be in heaven already has his team in shape and playing football again without his wheelchair and pain! Your family has been a true example of how a true family should be over the last 40 years and for that Dale was fortunate and you should know knowing you were there for him all the way thru his journey he could not have made it without your love and support. God Bless you all! Sorry to hear of Dale's passing. My condolences to the family. He was always upbeat, and each time I inquired as to his well-being, he responded with the same phrase each time, "I'm still rolling on" and with a smile. He was always an inspiration. He told me he could listen to me for hours as I related some of my adventures on the job. I will miss that, and his everlasting smile. Rest in Peace. I was not privileged to know Dale personally, as I'm class of '72, but I do remember him playing, and I was present with the alumni band and saw him get hurt...my deepest condolences to the family. Gail, my thoughts and prayers are with you and your family. From your "C&P family"
Dale was a special friend and he touched so many hearts without evening knowing. he will be truly missed by all that he has ever met. I remember Dale, Donna and Gayle from New Market Baptist Church way back when. His name has been spoken a many of times threw the years. I am so sorry to hear the passing of ROBERT DALE LUCADO. Dale was a good friend and very special person to all. My prayers will always with DALE and his family. Our thoughts and prayers are with the family. May you all find peace in knowing the blessing it was to have Dale as part of your family and joy in the memories he has left behind. I am so sorry for your loss of Dale. All of you are in my thoughts and prayers. When the Lord calls our loved ones home, he leaves a gift of wonderful memories of Dale in exchange. I can't be at his celebration of life but I will be there in spirit. His smile that he had for everyone that he greeted will be missed. Through good times and bad times that smile was there. My deepest sympathy and prayers to all the Lucado family. Dale was a friend that was always full of life and positive attitude and will be missed by all that ever crossed his path. Dale's spirit is finally free to soar in the heavens above. Gail and family, I am so sorry for your loss. I hope all the prayers and good wishes help heal and ease the sorrow you are feeling. Thinking of you. Dale never looked at his condition as a disability but rather a different way of doing the things he wanted to do; at least this was my impression. Over the years, Dale fought many battles for his life. This last battle, he won. Dale's many friends and family members lost. As LL Cool J said about Whitney Houston at this year's Grammys, “there is no way around this, we have lost a family member” this statement is also so very true about our beloved friend, Dale. We have lost a family member. Our hearts are filled with sadness for our loss. I visualize Dale standing on his own two feet looking down upon us in amazement at all of the love pouring in from across the state and beyond. Dale is not only an icon of NNHS; he is an icon of Newport News. Maybe one day, we will see a LUCADO HIGH SCHOOL in Newport News. It has a nice ring to it anyway. Dale's dazzling smile could light a room. Dale knew of no enemies and he could win strangers as friends instantly. On especially bright days, I will think of Dale's radiant smile shinning down on me from Heaven. I will smile and say my hellos to Dale as I reach for my sunglasses. I didn't spend as much time with Dale as I would have liked, but I took comfort in knowing Dale was always in Newport News. Today, although I am saddened, I now take comfort knowing Dale is no longer in pain or confined as he once was. Now, Dale is free! I visualize Dale being on Heaven's welcoming committee keeping an eye on us as we all migrate toward him. Many Great Typhoons have left us before Dale, so Dale will not be alone on his journey; he will be among friends and family. As our earthly class reunion dwindles, the Great Class Reunion in the Sky will populate. I am sure Dale will take charge of that as much as he did for us here. It seemed that Dale loved everything about high school. Dale may be gone, but he has not totally left us. Before leaving us, Dale imbedded himself within each of our hearts. There is not a day that goes by, that I don't think of my friend Jerry Hicks, who too left us in 1970. Today's pain we share for our loss of Dale, will, one day, pass, and the sorrow will be overpowered by happier times we shared with Dale. I cherish my happy times with Dale; Nags Head, VA Beach, Buckroe, just hanging out. Talking about the big surf, 1 or 2 ft (+/- 1 or 2 feet), it didn't matter. Dale was a master of words when it came to silly songs. One that comes to mind was the one about a solder going off to war with two pistols by his side and that soldier did something for curiosity, something, something, something. I think Dale and Steve Morris wrote this song. For those who knew Dale in high school, you may know the true lyrics. For those who don't know, or have forgotten the lyrics, give me a call or email me, I will share the true lyrics with you. Dale may you rest in peace, my friend. I look forward to the day we meet again. I am honored to be your friend. May God be with you and watch over your family during this most difficult time. I LOVE YOU MAN! I'll miss talking to you about our Virginia Cavaliers! You were always the best with keeping up with my teams. I'll see you heaven! We love you and you will always be in our hearts! 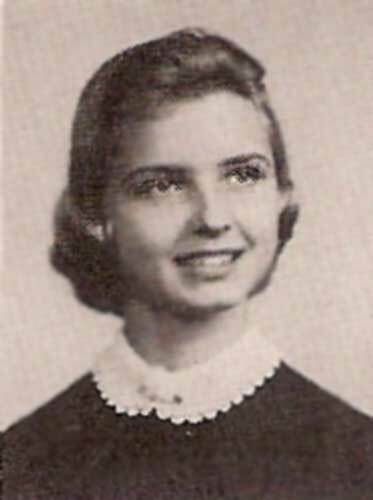 Your fellow Typhoon friend (Class of 1954). You're such a nice guy. I've always loved you and admired your spirit! My sympathy to the family. We love you and will miss you! Our prayers go out to the family and we know you're in heaven. With all our love and to my old neighbor the Dale Lucado family. My prayers are with you at this time. To the Lucado family, we send our love and prayers to our fellow Typhoon. The breakfast bunch on Tuesdays in Newport News and the breakfast bunch in Hampton on Wednesdays! We love you and we know you're in heaven. I have always admired your spirit and your love for everyone. With all my love. Ricky and I send our condolences to the family. We never saw Dale without a beautiful smile on his face. He has such a heart for others. He was always asking about our family, so concerned for us all. He was such an inspiration for us all. God bless you, and may Dale rest in peace. Love. It's Saturday, February 25, 2012 - just want you to know I am thinking of you during this celebration of Dale's life here on this earth. Trusting and hoping you have the assurance he is in a better place, where he would not want to come back even if he could as he proclaims "IT IS WELL WITH MY SOUL". This time of sorrow has to be bitter/sweet to you who loved and cared for him so faithfully. What a testimony of LOVE! I pray as the days, weeks and months go by, we will continue to be reminded of your loss and pray for you as you go through your own individual process of grief, knowing there is a choice to reunite with him one day. My sincere condolences. Dear Family, I didn't know Dale personally, but as a fellow Typhoon I would just like to pay my respects to him and his family. So sorry for you loss. I was class of 72. I was assistant coach at NNHS when Dale played. I would see him quite often after he finished school and he would come to support the team. He was a good young man and I enjoyed coaching him. I became the head football coach during the last year of NNHS. It was the Turkey Day Game and Dale was there to cheer on the team. Some of the alumni came to Ferguson where I was coaching to get equipment for the Alumni game. It was a sad time when he became paralyzed. It is great to see how he touched so many lives. My thoughts are with your family. Please accept our sympathy for your loss. What a beautiful memorial service and a wonderful testimony to a great person. Gail, Donna and family, We are so sorry to hear of Dale's passing. Our thoughts and prayers are with you. Our thoughts and prayers are with the Lucado family during this time. May you find comfort knowing Dale is whole again & that he touched so many lives in a positive way. The service today was beautiful & a wonderful tribute to Dale's life. We should all learn from his legacy. Some people leave their imprint on many others. Dale was one person who left a positive impression. His life was a testimony to honor and strength. You will be missed. Gail, I just sat down to read today's paper and was shocked to see that Dale had passed away. I pray the love of God enfolds you during your journey through grief. Remember that I love and care about you and may your heart and soul find peace and comfort. TV sports announcers often speak of the amazing amount of competitiveness, determination, courage and skill that is displayed by the inordinate number of athletes that come from Tidewater Virginia... Dale's name should be at the top of that list. Dale has been and will continue to be the spirit of Newport News High School. May God comfort the Lucado family and those that knew and loved him. Our thoughts and prayers go out to your family. Dale was a very special man and will be missed by everyone who knew him. He was one in a million! Deepest sympathy in the loss of one so deeply loved. Rest in Peace. I am so sorry for your loss. My thoughts and prayers are with you. God bless and keep you during this time. I am so sorry to learn about Dale. Although I have been gone from Newport News for a long time, those days at NNHS are always with me. Dale's smile and personality are remembered fondly. My sincere and deepest sympathies go out to his family. Some bring a light so bright into this world that the radiance remains even after they leave it. May the Lucado family be comforted by memories of joyful times spent in Dale's company. Roberta - I am sorry to hear about the passing of your father. Words just aren't adequate to express my sadness for you, your family and his many, many friends now that Dale is truly healed. I'm sure he will continue to watch over each of you and share his wit and love from above while God wraps his arms around one of His bravest. My sincere sympathy is sent but also know your memories and love for your brother will keep Dale alive always! Celebrate Dale's life as he would want you to do! To the family of Dale Lucado, I am so sorry to hear of your lose. I would like to express my condolences to you. Dale was a great person, with a big heart, God bless him. I am so sorry to hear of your loss. You are in my thoughts and prayers. I am very sorry to hear about Dale's passing. My heart goes out to his family and I hope that they will continue to be surrounded by the love of family and friends as they go through the coming months. He will continue to live in the memory of so many others. Our thoughts, prayers, and sympathy to the Lucado family. Dale we will miss you. Always had a smile and hug for you. RIP. I was so sorry to hear of Dale's passing. My heart goes out to all the Lucado family. Dale always made me laugh and his spirit will live on in all of us that loved him. I am so sorry to hear of Dale's passing. May God comfort you in this time. He will be missed by many. Dale, life threw you a vicious hit at such at early age, but you always made the best of it. So sorry to see you go. You were loved by many. Now that you've left behind your old body, you can once again run down the field forever. Wonderful tribute to Dale on Saturday. 500 or more people attended his funeral and reception. So many people loved Dale and admired his courage. He will be deeply missed by all. My thoughts and prayers are with his family and friends during this difficult time. May Dale rest in peace. We just found out and are so sorry to hear of Dale's passing. Please know you are in our thoughts and prayers. My condolences go out to Dales family even though it has been forty years since I have seen him he will be missed. I do remember going to church, school and the boys Club with Dale in my early years along with packing the car up and heading to Nags Head and Hatteras to surf back when the boards were 8'. I am sorry to have missed out on the past 40 years of his life. Donna, George, Ryan and Erin...please accept my deepest sympathies on the loss of your beloved Dale. Donna, in all the years I have known you, I never realized that you were Dale's sister. I know that you will miss him very much. My sympathy is with all of you. Gail, Donna, I just heard the news. It's always hard to lose a family member, and with Dale's passing we all have. A constant force in locating classmates for the reunions, his presence will be missed at the next one. But I know his spirit... and his Typhoon spirit... will always be there with us. I've read these many pages of comments: he made a difference in so many lives. Wouldn't it be nice if we could all touch so many the way he did. Blessings and hugs to you all. Dale never looked at his condition as a disability but rather a different way of doing the things he wanted to do; at least this was my impression. Over the years, Dale fought many battles for his life. This last battle, he won. Dale’s many friends and family members lost. As LL Cool J said about Whitney Houston at this year’s Grammys, “there is no way around this, we have lost a family member.” This statement is also so very true about our beloved friend, Dale. We have lost a family member. Our hearts are filled with sadness for our loss. Dale’s dazzling smile could light a room. Dale knew of no enemies and he could win strangers as friends instantly. On especially bright days, I will think of Dale’s radiant smile shinning down on me from Heaven. I will smile and say my hellos to Dale as I reach for my sunglasses. I didn’t spend as much time with Dale as I would have liked, but I took comfort in knowing Dale was always in Newport News. Today, although I am saddened, I now take comfort knowing Dale is no longer in pain or confined as he once was. Now, Dale is free! I visualize Dale being on Heaven’s welcoming committee keeping an eye on us as we all migrate toward him. Dale may be gone, but he has not totally left us. Before leaving us, Dale imbedded himself within each of our hearts. There is not a day that goes by, that I don’t think of my friend Jerry Hicks, who too left us in 1970. Today’s pain we share for our loss of Dale, will, one day, pass, and the sorrow will be overpowered by happier times we shared with Dale. I cherish my happy times with Dale; Nags Head, VA Beach, Buckroe, just hanging out. Talking about the big surf, 1 or 2 ft (+/- 1 or 2 feet), it didn’t matter. Dale was a master of words when it came to silly songs. One that comes to mind was the one about a solder going off to war with two pistols by his side and that soldier did something for curiosity, something, something, something. I think Dale and Steve Morris wrote this song. For those who knew Dale in high school, you may know the true lyrics. For those who don’t know, or have forgotten, give me a call or email me, I will share the true lyrics with you. Dale may you rest in peace, my friend. I look forward to the day we meet again. I am honored to be your friend. May God be with you and watch over your family during this most difficult time. I LOVE YOU, MAN! Thank you so much for this beautiful remembrance, Tony; my sincerest condolences on the loss of your good friend. Thank you for sending the news of Dale. I remember him from NNHS and also remember the accident during the alumni game. In fact I was in the stadium sitting with Dr. Joyner when it happened. Dale was an exceptional person and will be missed by many. Our sympathy to the entire family. Thanks so much, Coach Hott. I personally did not know the Lucado's or their family, and by the time of the accident had moved to southeast Missouri, and did not learn of it until many years later. Dale became our of our subscribers and referred many others to us over the years, and I was always delighted to hear from him. I shall miss him, and his family and friends have my sincerest condolences. Our deepest sympathies are extended to Dale's family and many friends. WOWZERS! Thanks so much, Belinda!